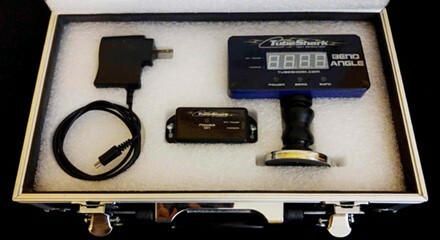 The TubeShark Cordless Digital Protractor is a great addition to all TubeShark Benders. This unit can help you create more accurate bends by displaying in digital format the exact angle you've created. 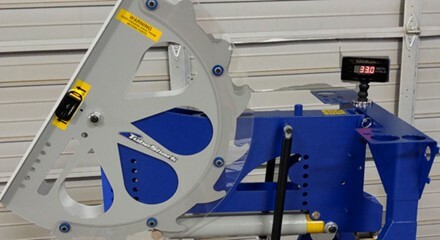 Mount the Digital Vertical Protractor on any Tube Shark Bender or use it on it's own for a variety of other applications when setting an angle is necessary. Cordless unit, can be located with its magnetic base and put anywhere, in any position within a wide range. the sensor can be mounted in our handy Torpedo Mount Block (not included) to be used to determine the angles on a variety of other projects. Both the sensor and display are rechargeable and can be conveniently charged with the included standard mini usb charger.